I absolutely love weddings and I absolutely love photography, so combining the two was always going to be a successful combination. My personal style of largely informal, fun storytelling, to capture the atmosphere and emotions of the day is best suited to fun loving couples who appreciate creativity, style and high quality/value products, and for whom their Wedding Photography is a high priority. Remember too that once you’ve spent a small fortune on the venue, guests, the cake, food, champagne, invitations, your dress, shoes, flowers etc., etc……. all you’ll have left as a reminder of your special day….is your photographs. Unless you particularly want to create and pay for your own ‘package’ only your photography needs paying for prior to your Wedding; your Album, Prints, Parents’ albums, discs, slideshow etc., can all be purchased later as funds allow. Is a ‘Package’ right for you? Your wedding is a unique occasion – special to you. So why should your Wedding Photography be the same as everyone else’s. Packages, be they Bronze, Silver, Gold or whatever they are called, are designed more for convenience rather than to help you express your own individuality, they also represent a considerable financial commitment often needing payment prior to the wedding. Perhaps you would you prefer to create your own collection, to work with someone to design something that is uniquely yours. A LA Carte, something unique to YOU. To this end we have developed our own A la Carte method, unique in that it lets you decide how much you want, how much you spend and when to spend it. I understand, like so many brides, overspending is a major consideration and when the seemingly simplest details like flowers, favours, balloons, etc., can add hundreds, if not thousands, to the bottom line. Value for money and cash flow become vital considerations, and this is where we can help. Firstly there is the fee for photographing your wedding, either up to 8 or 12 hours coverage and can include Preparations, Ceremony, Groups, Speeches, some Private photography of you as the newlyweds, First dance and beyond. YOU choose. All your photographs will be fully edited and sent to you as low res images on a proof disc for you to choose as much or as little as you wish, ONLY your Wedding Photography Fee has to be payed for BEFORE the wedding , everything else can be chosen after you return from you honeymoon, thereby leaving you with more to spend on your wedding, honeymoon or even your shoes!! The Wedding Photography Fee automatically includes a free pre-wedding photo session. The session usually lasts between 1-2 hours and at a location of your choice. It gives us a chance to get to know each other a little better and gives you an opportunity to see how I work. 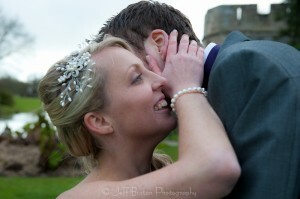 It’ll also give us another chance to discuss the finer details about your wedding day photography. From this session you can have an 8×10 print of your choice or a 12×12 print for the signing board if you choose to have one. Coverage up to 8 hours. £800 which includes….. …… coverage up to 8 hours which can include Preparations, Ceremony, Groups Speeches and at least one session of Private Photography of you as the newlywed couple; or it could start with the Boys just before the ceremony and go through to the first dance. Extended coverage up to 12 hours. £1100 which includes…. …… everything from Bridal preparations, the ceremony right through the whole day including the first dance. If time allows two sessions of Private Photography of you as the newlywed couple. In both cases you will be sent a proof DVD of all images which will be edited and resized to low resolution and heavily watermarked, although this does make them unsuitable fo printing, it does allow for easy access viewing on your PC/mac and you can copy the disc to send to your family and friends. From this disc you will be able to make any selections for album, full resolution DVD suitable for print and/or any prints you may wish to order. Summary – A La Carte – fees at a glance. The above albums can also be supplied with Parents books if required, pricing is dependant on size and quantity. With every Luxury Album you get a free DVD of all the album images in high resolution, licence free, for you to print to your hearts content. To secure the date for you wedding photography a non refundable booking fee of 25% is required.